Bringing Kering’s Maisons eyewear activities under one roof at the end of 2014 has enhanced the Group’s ability to respond to market changes and has increased its levels of innovation and profitability. 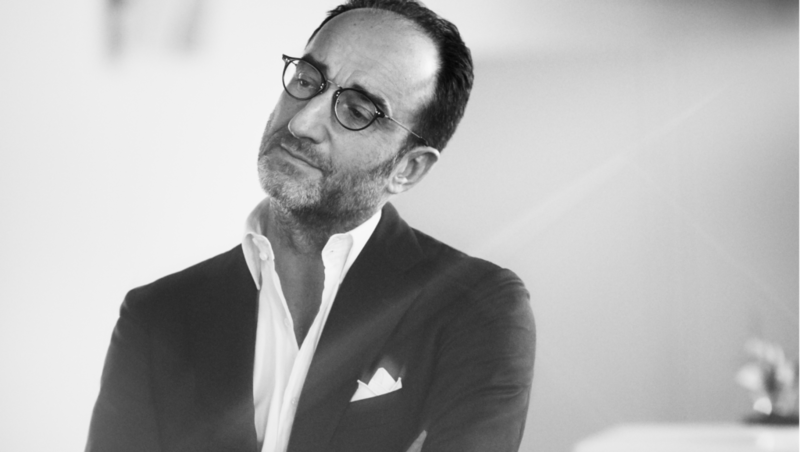 Roberto Vedovotto, President and CEO of Kering Eyewear, walks us through this strategic change of direction and explains how his teams are preparing for the future in a sector marked by continuous growth and change. In 2014, Kering decided to take back full control of the eyewear licenses of its Maisons, instead of subcontracting to industrialists. Why did the Group take this decision? Roberto Vedovotto: Eyewear is a big market and it is very profitable. Kering Eyewear operates in the premium frames and sunglasses segment, which is estimated to have a wholesale value of €13 billion. More precisely, we focus on the high-end segment, a rather crowded and competitive arena, which alone is worth €3 billion in wholesale value. We thought it made sense to have a direct presence into this industry and in the last three and a half years we have become a key player in the segment, second only to Luxottica, thanks to the fantastic brand portfolio that Kering provided us with in the very beginning. On top of that, it is important to remember that eyewear is a significant category for luxury brands. Frames and sunglasses have the highest conversion rate as they attract new customers into other product categories, thanks to their affordable price and aspirational element. Finally, it made total sense for Kering to gain control of its own eyewear licenses, as it enabled us to exploit the potential of each of our brands in frames and sunglasses, to reach an unparalleled level of quality for our eyewear products and to fully align distribution with each House’s image and positioning. What were the consequences of this reorganization? We were asked to empower our imagination and we decided to create the first and only luxury eyewear company, and to do so, we set up an innovative business model to satisfy both our shareholders and our Maisons. In November 2013, there were only three people, together with myself. Today, we have more than 1,000 employees worldwide, and they represent Kering Eyewear’s key asset. Our ambition has always been to create a lean organizational structure, to disrupt the traditional ‘way things are done’ and to quickly adapt to changes. We started by putting design at the center of everything we do, with different teams working on specific projects and markets. The Gucci Eyewear and Saint Laurent Eyewear teams are based respectively in Rome and Paris, close to Gucci’s own creative teams and those of Saint Laurent. In terms of marketing and communication, the key point is that the continuous collaboration and interaction, with our Maisons, working together as colleagues, allows us to develop a 360° approach (from digital initiatives to events and in-store visibility activities) that is fully integrated with each of our House’s image and platform. How do you adapt your strategy to the Chinese and Asian markets? Asia is a strategic area for Kering Eyewear and for all luxury companies. We operate in it mainly through direct subsidiaries and a highly selective network of distributors. We built-up a specific strategy to succeed in the region based on customized products and communication, as well as, strategic partnerships with Top Retailers, with whom we execute outstanding dedicated visibility initiatives and events. China alone represents a huge opportunity for us. But given its size, this country has a lot of minor cities where eyewear has little or no retail presence. To properly serve these cities and further establish ourselves in the market, we decided to collaborate with JD.com (China’s largest retailer serving over 290 million customers) and open our first flagship store on the platform. How do you specifically target Chinese Millennials? Chinese Millennials are usually well-travelled, always connected and are definitely early adopters. These consumers have completely changed the landscape of the Asian eyewear market, which used to be a ‘trends follower.’ The best-selling items in Europe and the U.S. also used to be the best-selling items in Asia, with fitting modifications. Now, Asian Millennials have specific needs in terms of shapes, lens colors and materials. Tailored products and communication are the key to success in this market. We have a local design team to develop specific shapes, styles, dedicated packaging and fittings for the Asian market. To engage with Millennials in China we rely heavily on local marketing campaigns and digital activations through the main Chinese networks, such as WeChat and Weibo, as well as leading media outlets such as Hypebeast. In collaboration with our Maisons, we have also created advertising campaigns featuring local brand ambassadors such as Ni Ni for Gucci and Z Tao for Saint Laurent. Overall, what are your development goals? Our goal is to grow the Company in a sustainable way, staying true to our mission keeping a strong focus on design, quality and distribution. Additionally we are also keen to further grow our profitability. We are getting tighter control of the value chain thanks to a fully integrated and automated logistics center. We are strengthening our worldwide presence in markets where we currently rely on our carefully selected distributors, particularly in South East Asia and the Middle East. We are increasing distribution through new channels, especially e-commerce. We want to expand existing strategic partnerships with top global fashion e-retailers such as Mytheresa.com, Netaporter.com and Matchesfashion.com, while also establishing innovative business models in traditional retail. We have worked on a beautiful ‘shop-in-shop’ concept to display our products in a luxurious environment as a way of improving the end-customer experience. We plan to roll this out with our most important and highest-quality partners, with the aim of using it also as a marketing tool and a trend-spotting feature. The first one was opened in partnership with Coterie in Beijing Sanlitun in May 2018. We are working on improving our product offering by placing a stronger focus on the prescription frames category and on gender-fluid styles. Meanwhile, Balenciaga and Montblanc from the Richemont Group will join our portfolio of brands at the beginning of 2019 and we are sure they will be a huge success thanks to the upcoming collections, which are truly unique and fully aligned with the respective brands’ creative vision. Global luxury group, specialised in fashion, leather goods, jewellery and watches. From May to September, Gucci and Kering Eyewear are implementing an eyewear campaign dedicated solely to travel retail. Here is a six-point plan to create an unprecedented eyewear experience.